Idle Thumbs is one of my favourite podcasts; I’ve been listening for years and would recommend it to anybody interested in critical discussion of video games. It has interesting commentary from the perspective of game developers and journalists; interspersed with light-hearted and goofy humour. Anyway, the associated forum community put together a themed game jam; where the single rule was to use one of the 200+ podcast episode titles as your game’s theme. This actually turned out to be a great idea as it led to dozens of varied games of different styles, all of which coming from different prompts; but the thing tying them all together was the episode title rule. 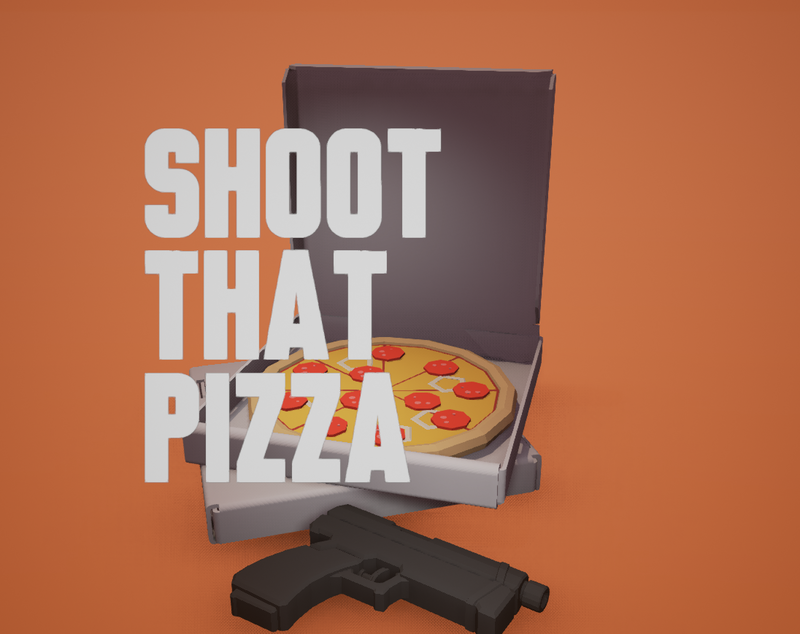 I settled on Episode 113: “Shoot That Pizza” as my prompt, and went on to make an arcade shooting gallery where you compete for high scores by shooting pizzas which fall from the top of the screen. I had a lot of fun making it, and ended up learning a few techniques I hadn’t come across before. One thing I like about game jams is that it often throws problems at you that you wouldn’t normally come across if you’re making a different kind of game.